‘Bird call’ is the winner in our remix the sounds of New Zealand competition, dubbed New Zealand Idol for native birds. Shayne Burrows of New Plymouth made the track from bird song on the DOC website, remixed with his own music. The competition was perfect for Shayne who has always been interested in music and birds – he even uses kokako as his avatar on Twitter and as a logo for his work. Shayne receives a copy of the brilliant Unnatural History of Kakapo DVD and Alison Ballance’s award winning book Kakakpo: Rescued from the brink of extinction. Listen to the top five! The competition to remix New Zealand bird song ran throughout New Zealand Music Month. Entries came from New Zealanders as far away as Melbourne, Amsterdam and London. Our judges picked the top five entries which were posted on the Conservation blog and here on the DOC website. The public voted to choose the winner. Voting has closed. Read about our winner. The judges have chosen the top five entries. Now it’s up to you to pick the winner! At the end of this week long voting extravaganza our winner will be crowned. The judges say ‘In the woods’ by Matt Oliver has a slight edge, but we all know these things rarely go the way the judges expect. It’s going to be a spectacle of epic proportions – and the decision is in your hands. First up, let’s welcome to the page, Shayne Burrows of New Plymouth with ‘Bird call’. Shane mixed the bird calls from the DOC website with his own music to create this mellow groove. Now, please give a warm welcome to London based New Zealander Matt Oliver with ‘In the woods’. Except for the tui all the bird song came from the DOC website. Everything else is composed or sampled by Shane. There is a track of cicadas and wood hammering noises heard and recorded from his mum and dad’s place in Auckland – the definitive sounds of New Zealand perhaps?! Next, let me introduce Wellingtonian Joey Hobbs! Joey (aka Absalom) drew inspiration from the sound of desperation in the kakapo call. He gives us some pretty heavy, low key dubstep using bird song from the DOC website. So, without further ado, let’s get into ‘King Kakapo and the Waipoua Posse’! And all the way from sunny Nelson, please put your hands together for Liiiiiiaaaaaam Rryaaaan with ‘Moimoia’, remixing the sweet, sweet sounds of New Zealand’s only surviving native owl, the morepork/ruru. Finally, to finish off this perfect page of performances, let’s hear it for another Liam. Heeeere’s Liam White, with ‘Sirocco’s theme’. And, with a title like that, there is nothing, nothing, more to say. Take it away Liam! So, there you have it folks. Your top five! Both Simon Owl and my good kakapo self were completely blown away by all the entries. People have done amazing things in a very short time. 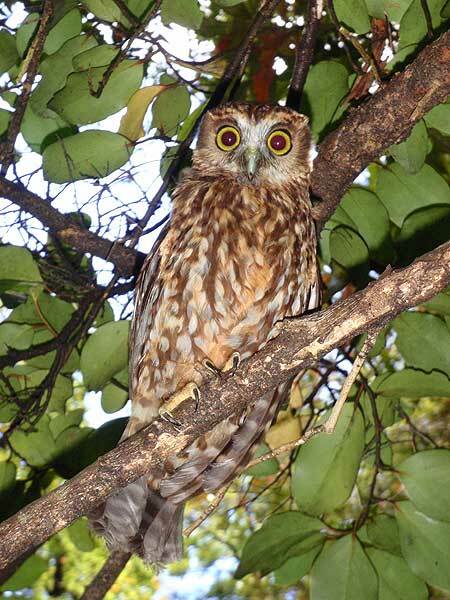 And we weren’t only impressed because so many people featured the morepork and kakapo! We’ve got something special here folks. Our birds, our music, our identity – be proud. You’ll be able to check out all 14 entries after the winner is announced on Monday 20 June but, right now, you need to vote for your favourite! Voting closes Friday 17 June at 12.00 pm New Zealand Standard Time. Read my ‘Remix my mates during NZ Music Month and make me a bona fide rock star!’ post.